A man with a vision. That was my h usband. I am writing about Raul Cabrera and the exciting project we started together that later transformed into a lifeline. A journey we started hand in hand, and had to let go sooner than what we had liked. We had 21 years of marriage. During this time I was a stay-at-home mom to our only daughter, Sofia.Although I absolutely loved being a stay-at-home mom, I was always searching for my passion and was attending school off and on looking for it. Fortunately, fate has led me to where I am now. 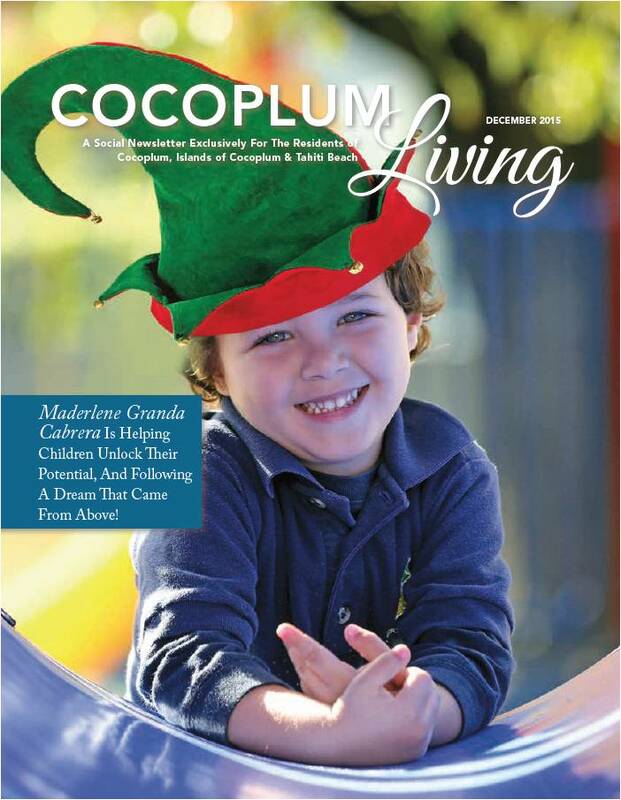 Gables Montessori was a gift of love. Raul seemed to have some feeling of what was to happen. He pushed me to start this endeavor as if he knew he was soon going to say goodbye. We decided to purchase the building on 990 South Le Jeune Road, in hopes of building law offices in the near future. The building had been a daycare for years, and was being sold with a license for 88 children. Mr. “Make Everything Possible” and the “unreachable at your fingertips”, while toasting over dinner for our new acquisition suggested I try running a day care. My response was “absolutely not.” I wanted to run a business I could be proud of; a place where I could really make a difference. The closest thing to that was opening a Montessori school. Everything seemed promising. Life was good. We had our happy family and many dreams. My husband was both an attorney and a CPA, and here I had found a fountain of fulfillment. Then came Raul’s diagnosis in 2009, Amyotrophic Lateral Sclerosis (ALS), a fatal disease, with no treatment. It all happened very quickly, and in the blink of an eye, he was gone. Unprepared, I have been able to take care of our daughter and keep everything he worked so hard for. This is why I call Gables Montessori my gift of love, my lifeline. Without it, keeping our family afloat would have been impossible. At Gables Montessori, we will be celebrating our 10-year anniversary next year. Every day I wake up, I’m given the opportunity to work in a place where the honesty and innocence of these children give me a light. And I believe I am also giving back to them. Now, everything seems to be settling down and things are looking bright again. My daughter is completing her doctorate in psychology at the age of 23, fulfilling all that my husband wanted for her. She is a great human being with a beautiful heart and an education. From above, Raul has seen her become the woman she is today. This write-up is our way of thanking Raul and honoring him for all that he did for us and continues to do for us. He will forever live in our hearts. Raul has passed, but he has left me with something I had been looking for, for a very long time. He is always guiding me, and his presence and protection are felt everyday. 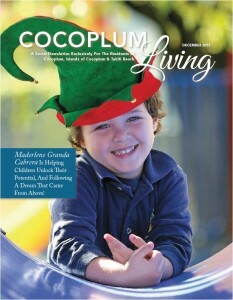 Source: Cocoplum Living Magazine. December 2015. I met Ms Cabrera through a mutual friend. Immediately there was something about her that drew me to her. She is smart, determined and has a passion for all the children and staff at her School. I will always admire her perseverance, Her determination. She is succeeding and with honest hard work. Congratulations on your upcoming 10 year anniversary and to your husbands legacy. So Proud of you and Sofia. 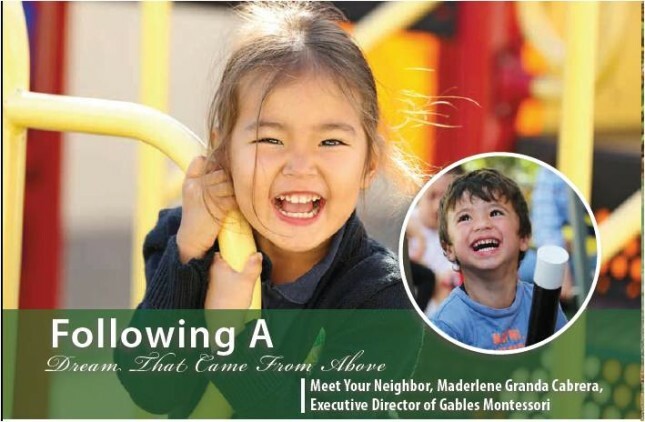 We’re elated and proud to speak to the experience our son received as a student for two years at Gables Montessori. This school is truly a hidden gem in our city and we’ve recommended it to so many others. The quality of education was immediately apparent with the proficiency in reading, math and general social skills we saw in our son. But primarily, and we believe most parents of small children would agree, what left the deepest impression on our family was the warmth and care he got to experience in this environment each and every day.